I should point out here that I own a ton of cameras - an X-Pro1, X-E1, E-M5 and GH3 amongst others. Personally I would take the X-E1 over the E-M5 but it's a far tougher comparison if you bring the GH3 into the fray (IMO it's a better camera than the E-M5). Agree on this but I don't think video on the E-M5 is all that either. It's one reason why I spend a lot more time with the GH3 these days. The E-M5 has really bad ergonomics. It can be a pain to use for long periods and the HLD-6 grip isn't that great if you have even medium sized hands - I found the E-M5 uncomfortable to shoot with the Panny 35-100mm mounted which isn't a huge lens. See my observations above. The GH3 on the other hand has magnificent ergonomics. It may not have dials but it has a button for everything in the style of a FF DSLR. Agreed, the GH3 is far superior in this area. No, you can't hand hold those kind of exposures unless you are carved from something. For those kind of shots you need a tripod. Honestly though, even at base ISO there is a little something extra from the Fuji sensor. It comes down to more natural colour transitions (which look great on skies and skin). Paired with the stunning lenses available for the Fuji the IQ can be very, very impressive. You are looking at longer and faster lenses for the E-M5 or getting closer to your subject. That said, the Voigtlander 17.5mm F0.95 produces wonderful creamy bokeh (but is very large, heavy and MF). 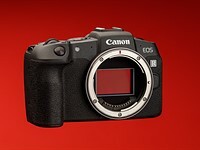 For stills I would get the X-E1, for video the GH3. I wouldn't get the E_M5 now (but it's handy as a second body).